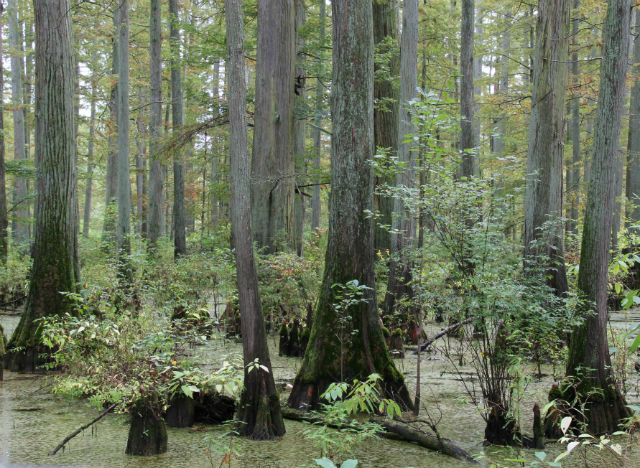 In the dark, damp swamps of southern Illinois, this fun fungus really stands out. Its bright orange coloration can be noticed from a distance. 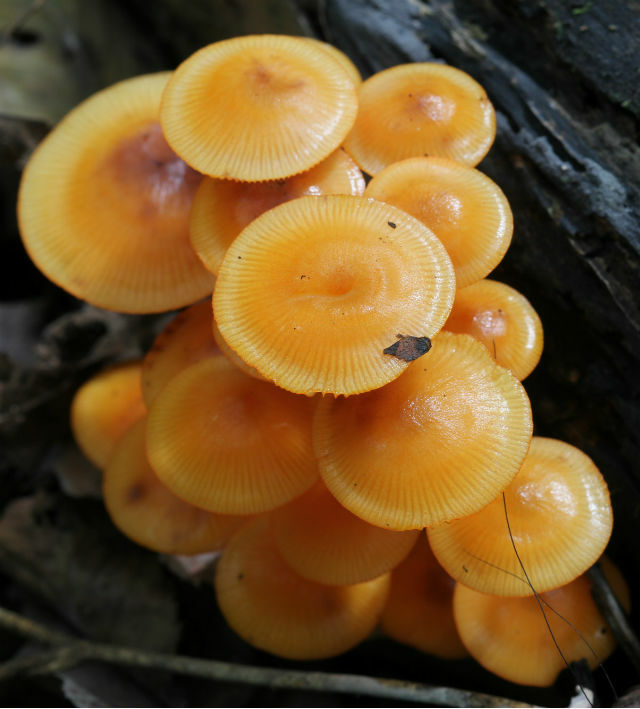 Though their caps are rather small (usually less than an inch), because they are typically found in clusters, Orange Mycena make for an eye-catching addition to the environment. 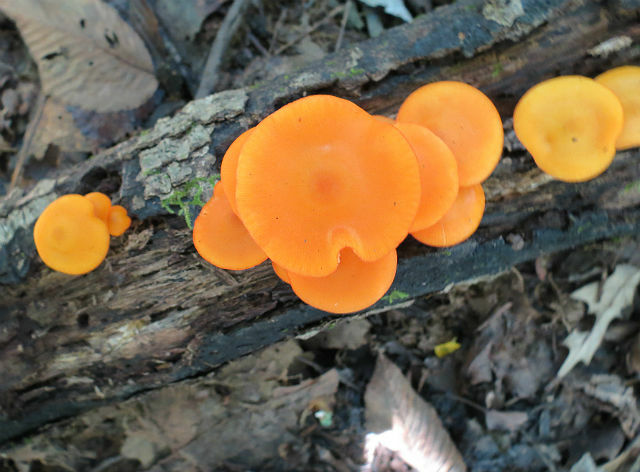 This mushroom tends to grow on deciduous logs, which contain the moisture it needs to thrive. When handled, its orange pigment may stain your skin. 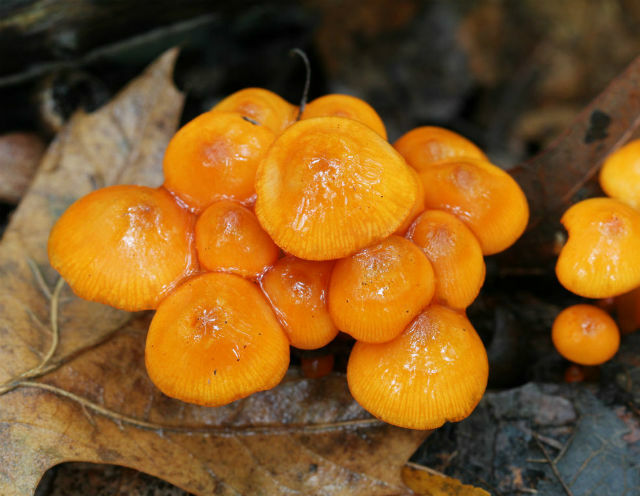 Their brilliant hue fades as the mushrooms mature and the surface of the caps are sticky, especially in damp situations. 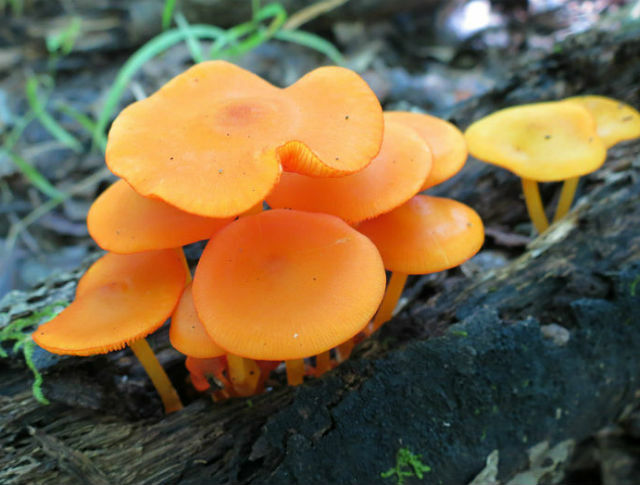 Orange Mycena is a North American species and has been reported throughout the eastern and central United States and Canada. This striking and colorful mushroom provides the same service as many others – breaking down and digesting organic matter and in doing so, returning nutrients to the soil. 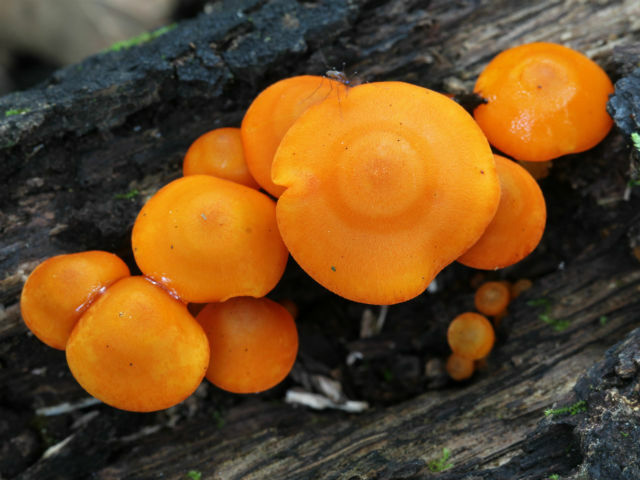 This entry was posted in Fungi and tagged Orange Mycena by tspuckler. Bookmark the permalink.